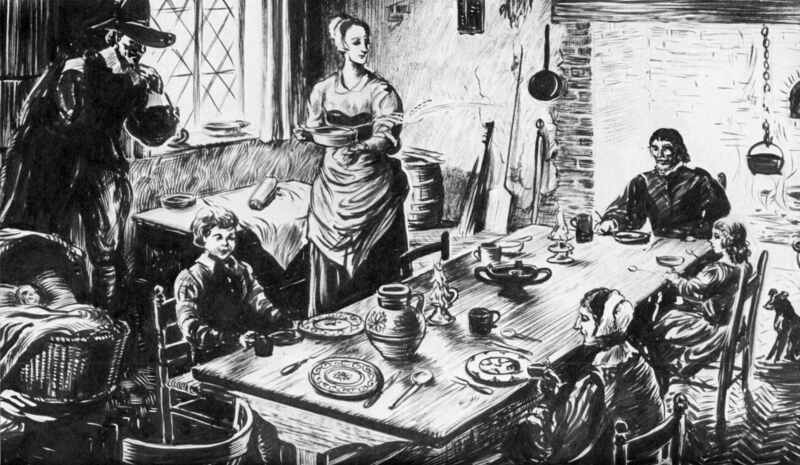 Meals in the past were most often prepared from locally produced raw ingredients and seasonal food items. Today’s food can come from far away, be out of season and have a ridiculously long shelf life, thanks to some of these chemicals, preservatives and “fake food” products. 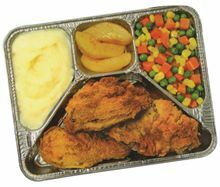 Industrialization led to processed and nationally distributed foods dominating the typical U.S. diet, starting in the late 19th century. Check out this history of how we went from the plain and simple eating style of our ancestors to today’s highly processed and preserved “food” favorites. By contrast, our ancestors preserved foods naturally, using salt, fermentation or sun drying, as well as other methods. 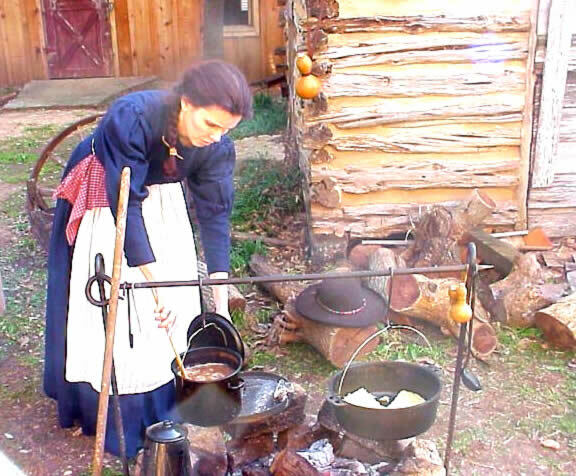 I like the idea of combining some of the best features of these early American diets with the healthy cooking methods and ingredients we have at our fingertips today. Want to go back even further in history for a meal plan? Many of the foods mentioned in the Bible are simple, healthy foods also included in The Mediterranean Diet: olive oil, wine, fruits and nuts, vegetables and legumes, whole grains, fish, herbs. The focus on eating game meat, fish, vegetables, wild fruits, eggs and nuts dates way back before the U.S. pioneers and even biblical times. Those were the foods also eaten by cavemen during the paleolithic era … a diet high in animal fat and proteins and low in carbohydrates, which is now commonly known as The Paleo Diet. I prefer to keep some of the pioneer’s staples of grains and cornmeal in my recipes, a little more like The Mediterranean Diet. Let’s call it The Modern Pioneer Diet!! What are some of your favorite “ancient” foods? Lentils are at the top of my favorite ancient foods list. I especially like them with some “old” spices – cinnamon and cumin and topped with onions sauteed in olive oil. A fest fit for an ancient Egyptian, or Esau, perhaps. That sounds delicious, Joannie, I’ll have to try that dish! The paleo diet, to me, seems somewhat confused. First, it rarely acknowledge insects as a good protein source–even though there is good evidence to suggest our ancestors quite enjoyed a roach or two for supper. And, most importantly, it dismisses large tacts of agriculture–which is fair enough; as it wasn’t around at the time–yet, today, people are getting their “paleo” ingredients from these systems; and they’re getting modern versions of them. I respect people’s choice for trying this diet as, from what I have observed of a view friends, it has positively impacted on their life–not necessarily the just the food they eat, but more the mindset they have gained*. Additionally, there seems to be good evidence out there to suggest that paleo participants ought to be careful about the amounts of some things that they consume. Red meat, in large quantities–common amongst the paleos I know,–can lead to all sorts of complications. A lot of paleos are either ignorant of their fact or dismiss it–regardless of the bodies of evidence. * One friend has been on the paleo for about a year. She used to be lazy, overweight and suffered from depression. She is now much more mindful of what she eats and goes to the gym several times a week–in fact she has started competitive weight lifting–and is a new, positive person. Red meats are not all created equal. Game meats that our ancestors consumed are akin to our grass fed meat counterparts. The fat composition of grass fed beef/lamb and pasture raised pork is akin to deer/bison in the wild. Beef finished in feed lots are fed high protein corn diets that give them the white fat that consumers are accustomed to. Confinement pig operations distress the ecosystem and produce a hugely inferior product – but most people are focused on cheap meat. The wild game and seafood was preserved with salt and sometimes dried with a little arsenic to keep the bugs out. You don’t want to know about the bugs (protein) in the flour, corn meal and beans. Really good healthy stuff.